Aw man I love this movie. I've been DYING to watch this dude. This is not the sexiest picture I've found of Juarez. Ah but nevermind, at least it's better than nothing, right? Anyways, I love this movie a lot. Speckles(the mole) was evil. At the end. But it's okay. He didn't betray them, well at first when they found out that he was the one who've downloaded the virus into the PDA chip. Yeah I love the music too. Especially when they say..."JUMP JUMP JUMP JUMP!" That was okay I guess. Fits the comedy type though. Definitely. I love this poster. Especially when it's all blueish. Love it dude, love it. So yeah, Speckles lost his mom and dad. 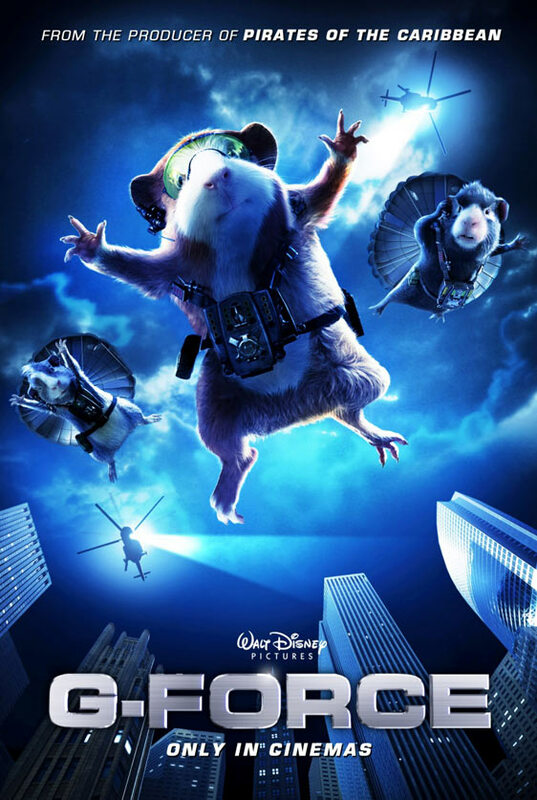 But to only find out that the entire G-Force IS his family. Nothing is too late so Darwin inserted the PDA virus into the giant combination robot. Yeah I love the Pet Shop scene. It's awesome. Haha, Lol nice one Juarez. 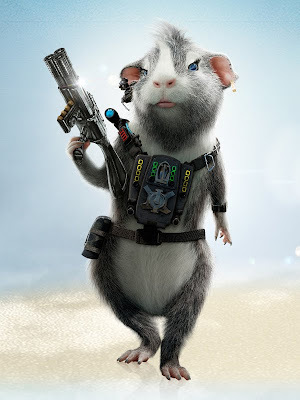 Saying G Force. And do you guys know that Juarez in the movie, uses Facebook? Yeah I think there's one clip on YouTube that shows it. Crappy huh? I don't know why some people don't want to post that scene on YouTube. Ah...anywho. Just go watch the damn movie by buying the DVD or watching it online. And Juarez is a girl from France. As you can tell by that music, accent and personality. And I never knew french people would join facebook. Since when? I need proof. I mean like, they're not those kind of "computer" person. Why do they CARE about facebook? Okay now I'm totally getting off topic. But nevermind. At least I think it's in one of the movie's tags. I dunno. Too lazy to check though. But no one would put that in the tags. They mostly focus on the movie itself. And yeah, that's pretty much the point. Alright well this is all I have to say. Good luck with it. No really, I mean good luck with it. That might sound sarcastic but really, it's not.